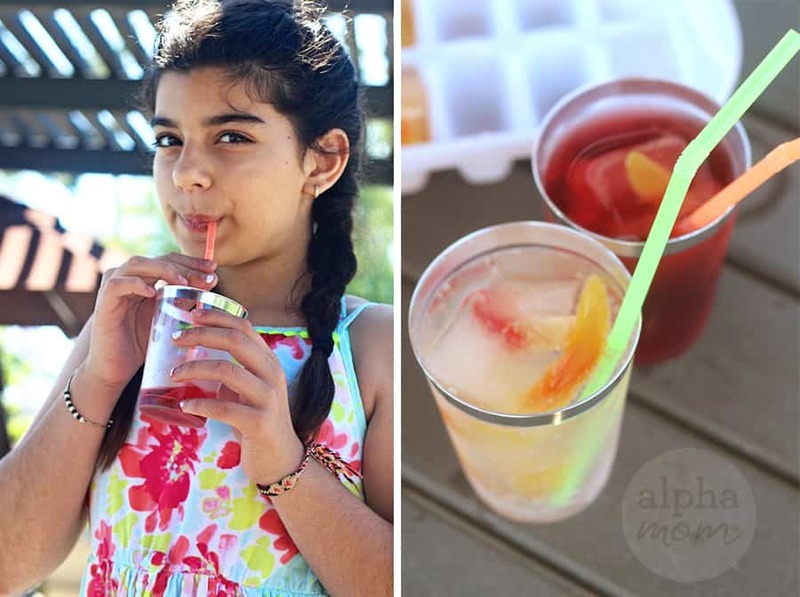 It’s important for kids to stay hydrated during summer but it’s also important to have fun. (Let’s preface this by saying there’s a lot of sugar recommended here. So, this is for a special treat on a long boring summer day… not every day, okay?) Or, it’s for a bug-themed birthday party, for example! 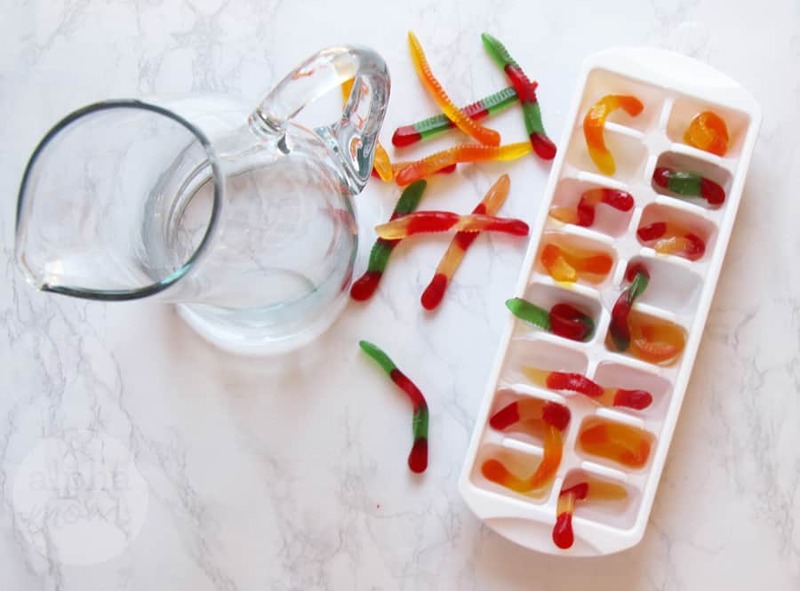 We think these Gummy Worm Candy Ice Cubes are guaranteed to get a laugh and get some extra fluids (especially if you choose extra-hydrating options) down your kid during the summer. juice, lemon-lime soda or, best yet, just water! It’s so easy and fun you might want to save this idea for April Fool’s Day or a Halloween party! 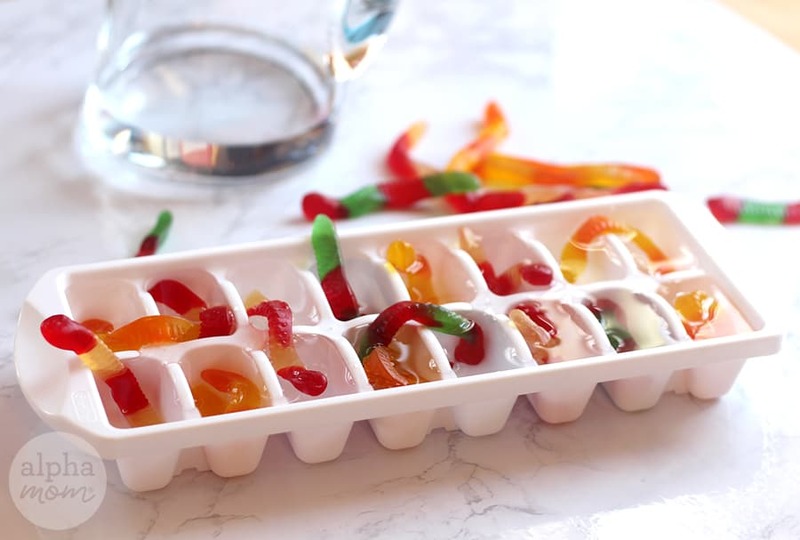 Just stick a gummy worm candy (or two) in each section of your ice cube tray. You can even snake candy gummy worms in and out of multiple sections. It’s also fun to leave bits hanging out. 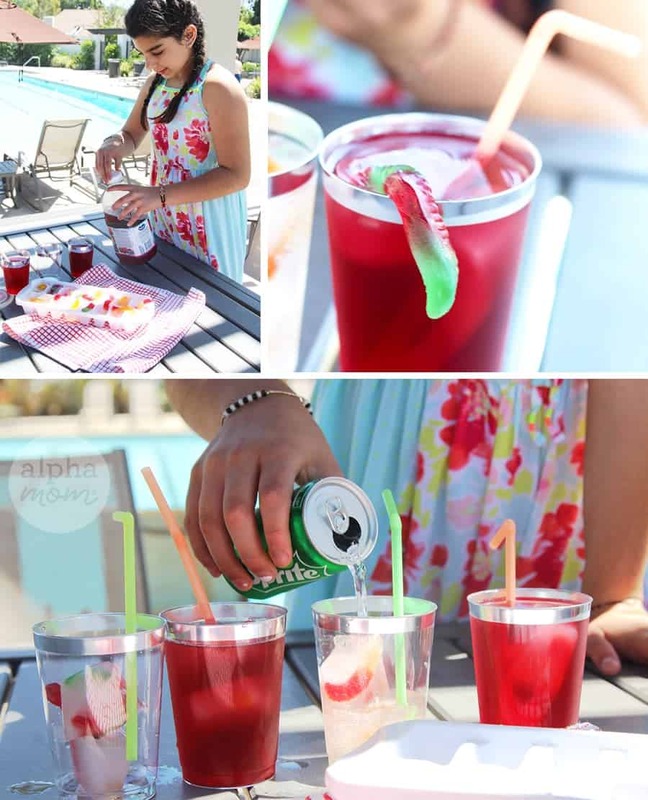 Freeze overnight and the next day pop them into any beverage you are serving and wait for the laughs. 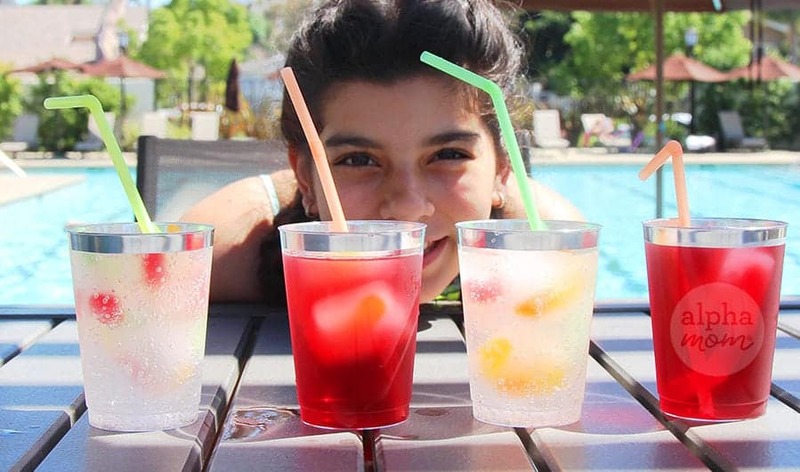 We used cran-raspberry juice and lemon lime soda but you could make any kind of beverage with these funny gummy cubes. We were worried the gummy worms would dissolve but they don’t. They do get a big slippery from sitting in liquids but I doubt any kid is going to turn their nose up at at a bit of slime. Just make sure you have a napkin handy if they start slurping them with their fingers. Better yet, enjoy at the pool so all that slippery mess can be easily splashed away!